10 Years of Free Golf at Las Colinas! Calida International Properties at Las Colinas are happy to announce, that as a home-buyer at Las Colinas Golf, 2 family members will receive 10 years free golf for a period of ten years from the date of signing the deeds! 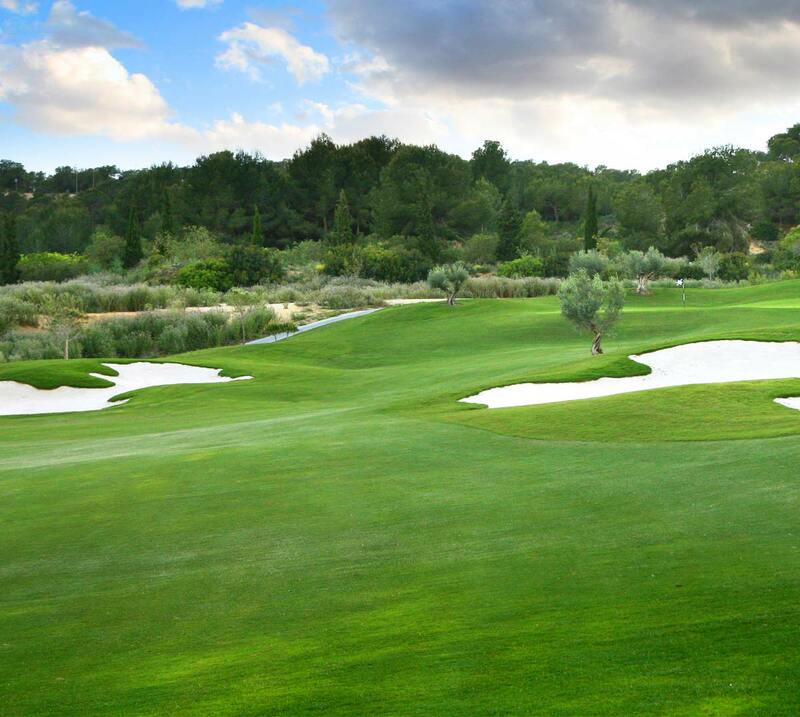 That is 10 years free golf at one of the best golf courses in all of Spain! If you play twice a week for the 10 years, that is a saving of over 50,000 Euros!! You can designate two beneficiaries of the scheme per bedroom in your home. Two of them will receive the Eagle 10 Plus card. The other beneficiaries will receive the Eagle 10 Card. The Eagle 10 Plus card entitles you to choose between two options: free golf, or free tennis and paddle tennis, both for a period of ten years. You will only have to pay a symbolic amount for the daily use ticket corresponding to the offer chosen as free of charge. Whatever the choice, the card-holder will also receive a 50% discount on the price of the tariff for access to the sports offer not selected and to the gym. Additionally, the holders of the Eagle 10 card will have the right to access the golf course, tennis and paddle tennis courts and the gym with a 50% discount on the tariff price for the same period of ten years. This means that as soon as you complete the purchase of your new home at Las Colinas Golf, you can start to enjoy free golf on one of Spain’s finest golf courses, please remember that Las Colinas was recently voted 5th best new golf course in the world, Las Colinas Golf also hosted the qualifying school for the PGA pro’s for the European Tour. If you sell the property within 10 years the right to designate beneficiaries can be transferred to a later buyer, when the home is sold. Contact us now for further details and let us help you with your new home purchase at Las Colinas Golf and Country Club.